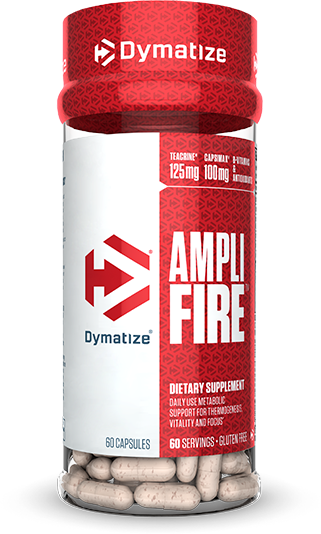 Dymatize AmpliFire at Bodybuilding.com - Best Prices on AmpliFire! All Dymatize products are rigorously tested for quality to ensure that nutritional levels stated on the label are in the bottle. Formulated with B-Vitamins & Antioxidants C&E. Powerhouse ingredients that can help fire up your fitness goals. 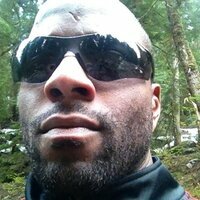 **TeaCrine® is a registered trademark and protected by Patents Pending, Serial No. 61/903,362; under exclusive global distribution by Compound Solutions, Inc.
**Capsimax® is a trademark of OmniActive Health Technologies Ltd.
Amplifier is the nuclear power plant that gets me through my day! Microcrystalline Cellulose, Gelatin, Less than 2% of: Magnesium Stearate, Silicon Dioxide. Directions For AmpliFire: Take 1 serving (1 capsule) per day with water. Can also be taken with food. Do not exceed the recommended amount per day. For best results, use in combination with diet and training. Warnings: THIS PRODUCT IS ONLY INTENDED TO BE CONSUMED BY HEALTHY ADULTS, 18 YEARS OF AGE OR OLDER. Do not use this product if you are pregnant or nursing.Before using this product, consult a healthcare professional if: you are taking any dietary supplement, prescription drug or over-the-counter medication; or if you have any medical condition. This product contains caffeine and should not be used with other caffeine or stimulants from other sources. Immediately discontinue use and contact a medical doctor if you experience any adverse reaction to this product. Do not exceed recommendations for suggested use. Use only as directed. Do not use if seal is broken or missing. KEEP OUT OF THE REACH OF CHILDREN. STORE IN A DRY PLACE AT 68ºF - 77ºF (20ºC - 25ºC).